Home » London’s Ultra Low Emission Zone is coming, are you ready? London is soon to become one of the first UK cities to establish an Ultra Low Emission Zone that includes all vehicles, and which for some drivers, may be chargeable to enter. From the 8 April 2019, the Ultra Low Emission Zone (ULEZ) will apply throughout most of Greater London and charges will be in addition to the weekday congestion charge. 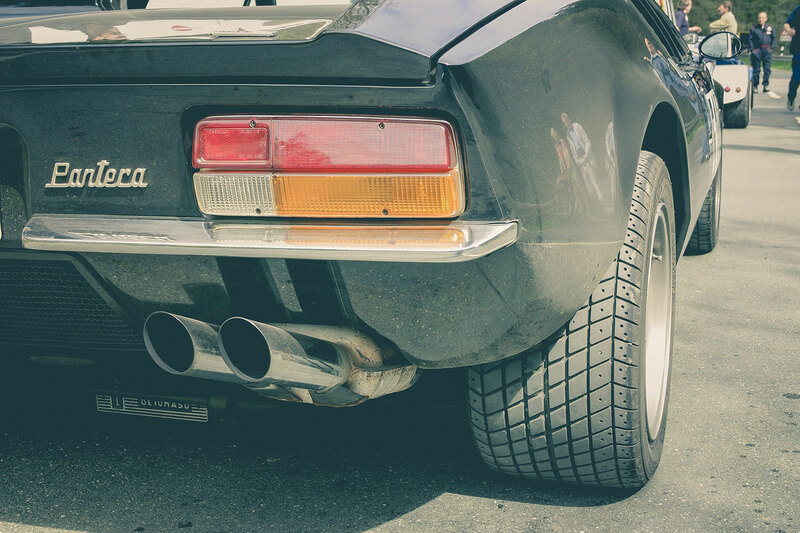 Vehicles need to meet the different emission standards for the ULEZ based on their vehicle type, and the type of emission rather than the vehicle age; alternatively, exemption will depend on your taxation class. Any vehicle that meets the ULEZ standard will be able to travel in the zone without paying the ULEZ charge. Drivers of petrol cars with engines that are compliant with Euro 4 emissions regulations, those generally registered with the DVLA after 2005, will not be subject to the ULEZ charge. However, drivers of diesel-powered cars will only be exempt if the engine complies with the Euro 6 vehicle emission rules, which came into force in September 2015; if your diesel car is older than that, it’s possible it will be subject to the ULEZ charge. Obviously, there are some other exemptions to the charges. Residents, taxis and disabled vehicles can be granted exemption subject to meeting the required criteria and relevant applications made. If you are a resident living within the charging zone, you can find out more information here. However, the one that we are most interested in is historic vehicles. According to TfL, in line with the existing Low Emission Zone (LEZ) discount, all vehicles registered before 1 January 1973 will be exempt from the ULEZ, regardless of commercial use or otherwise. In addition, all vehicles that have a historic vehicle tax class will be exempt from the ULEZ. You can now apply to stop paying vehicle tax if your vehicle was built more than 40 years ago, which continues on a rolling 40-year system. This now means that when the ULEZ launches in April 2019, vehicles built before 1979 will be eligible to apply for historic vehicle tax class. Transport for London have a checking service so you can find out whether your vehicle will be charged to enter the ULEZ. You can check your vehicle online here. According to the TFL website, this tool helps you to work out whether your vehicle meets the Ultra Low Emission Zone standards. Any vehicle that meets the ULEZ standard will be able to travel in the zone without paying the ULEZ charge. 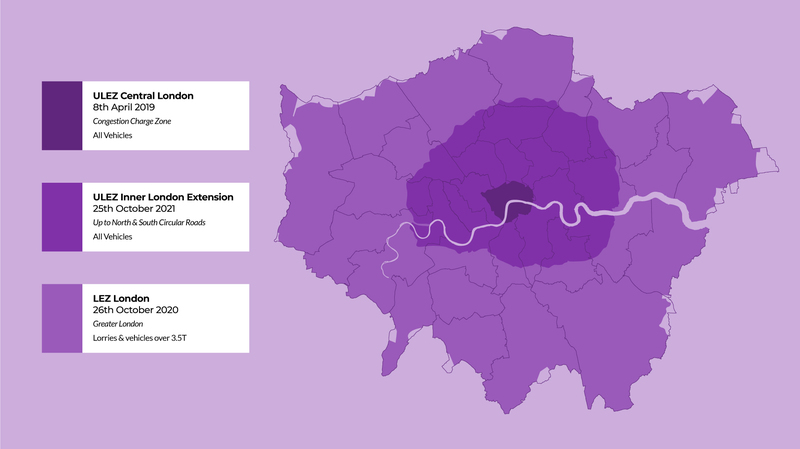 The ULEZ’s will continue to grow, as from the 25th October 2021 the area will expand to the inner London area bounded by the North and South Circular roads. If you are driving any petrol or diesel vehicle within this enlarged area you will also need to meet new tighter emissions standards or pay a daily charge. Other cities across the country propose to adopt similar charging approaches including Birmingham, Leeds, Newcastle and Manchester. It is also worth keeping in mind that a zero emissions zone has been outlined to come into force in central London from 2025. Don’t forget that if your vehicle isn’t exempt and you don’t pay your charge in time, you may be subject to a penalty. The above article is correct as of 27th March 2019. For updates and full details, please visit the links listed below.